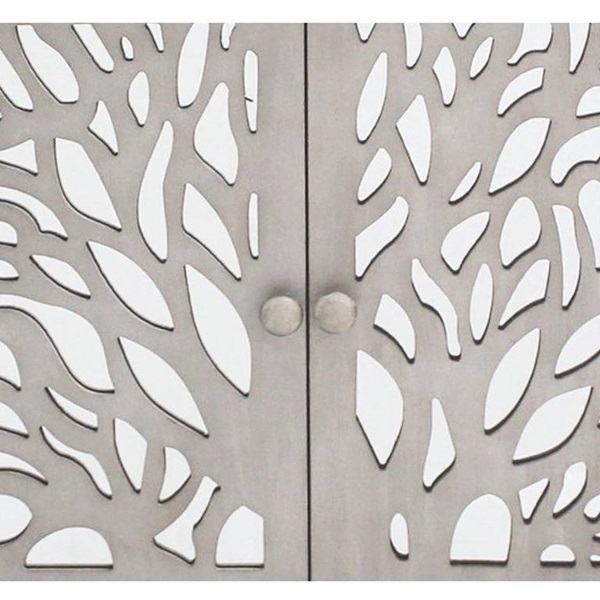 Inspired by nature, function for real life. 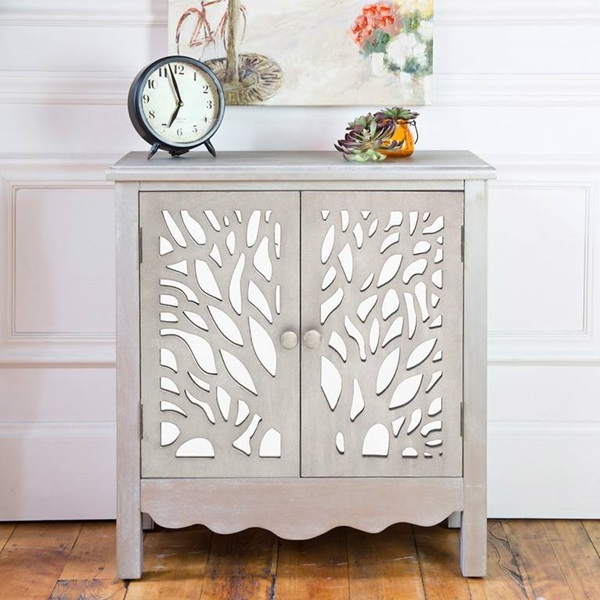 This wooden Mirrored Two Door cabinet has a unique design and appealing aesthetic, but also has practical storage and function. 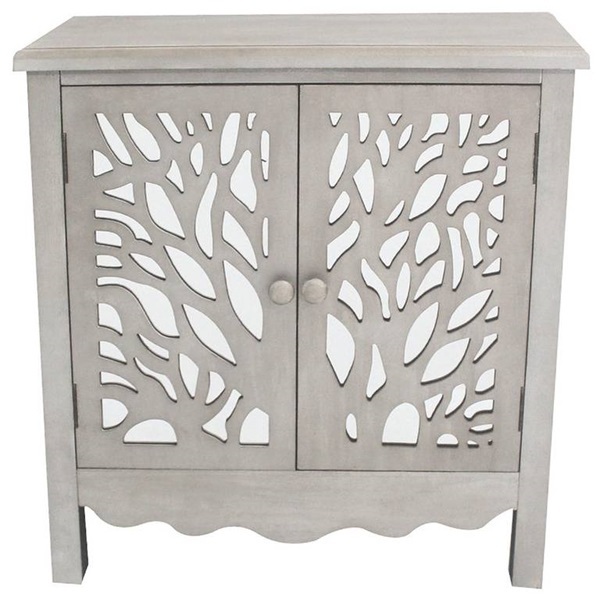 The rustic grey color with a whitewash painted finish adds an earthy appeal to this accent piece. 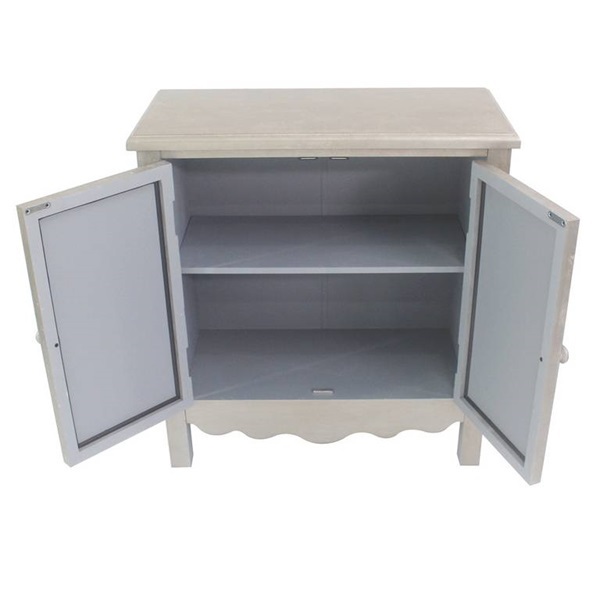 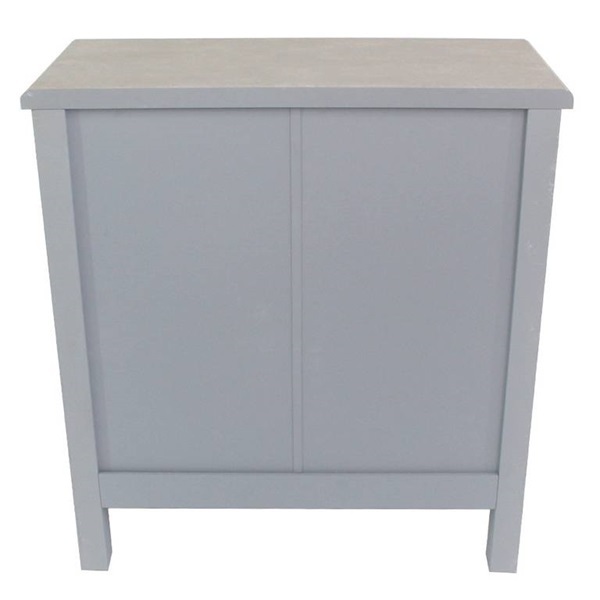 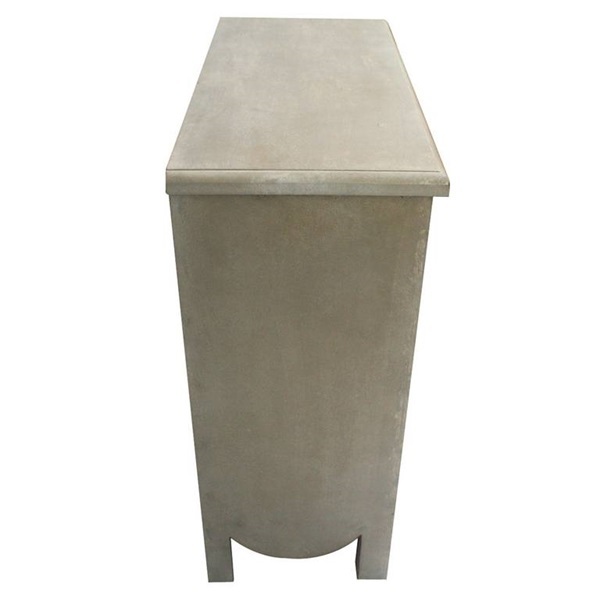 Designed to let you decorate in tight spaces, this cabinet is only 11.75" wide. 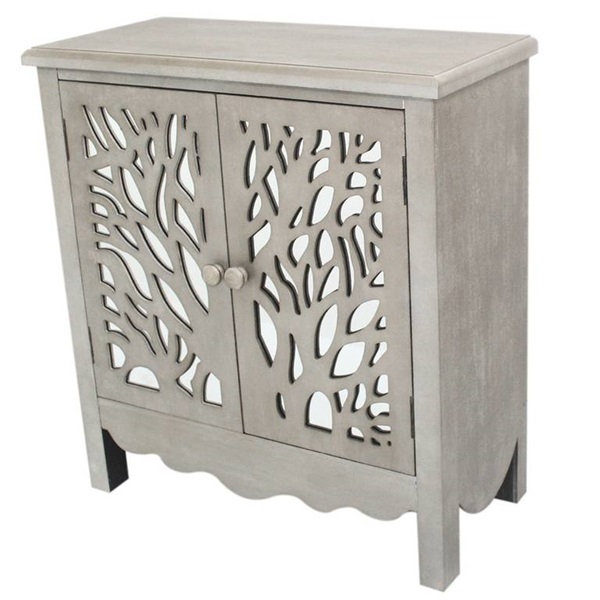 Perfect for an entry way or for apartment living.